Post news Report RSS	Protomni Multimedia is finally online! Brazilian indie game developer Protomni Multimedia has uploaded his new website, full of game info and with a lot more to come! Check it out! 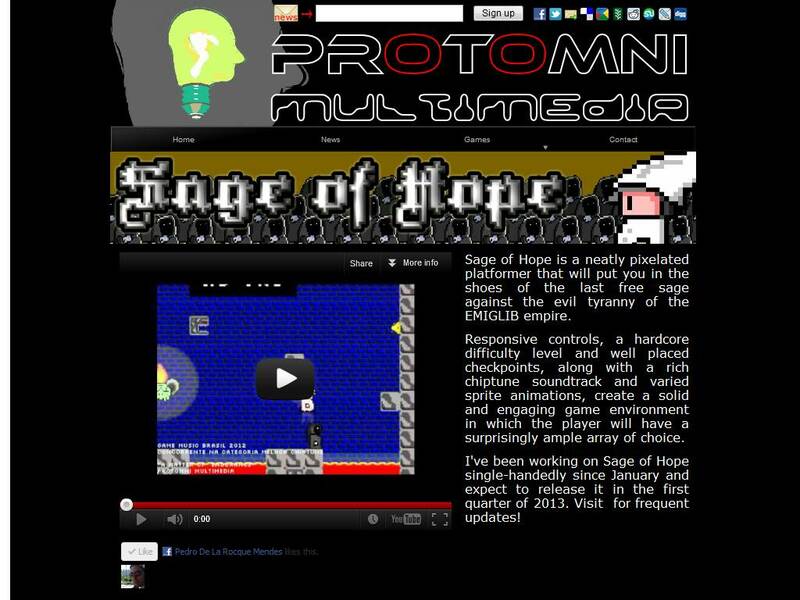 The new website of indie game developer Protomni Multimedia is online, thus creating a central hub of information regarding his games. It is a Flash-free, mobile-friendly, and easy to navigate page, so feel free to visit wherever and whenever you feel like checking out what that guy is up to. There is mostly basic company and product information for now, but a lot will be added in the next month, including the dazzling first game released by Protomni, development logs, and a new stop-motion project already in its early development stages! Click HERE to go to protomnimultimedia.com! When you get there, don't forget to sign up for the newsletter and make sure you will always receive the latest information about Protomni Multimedia.